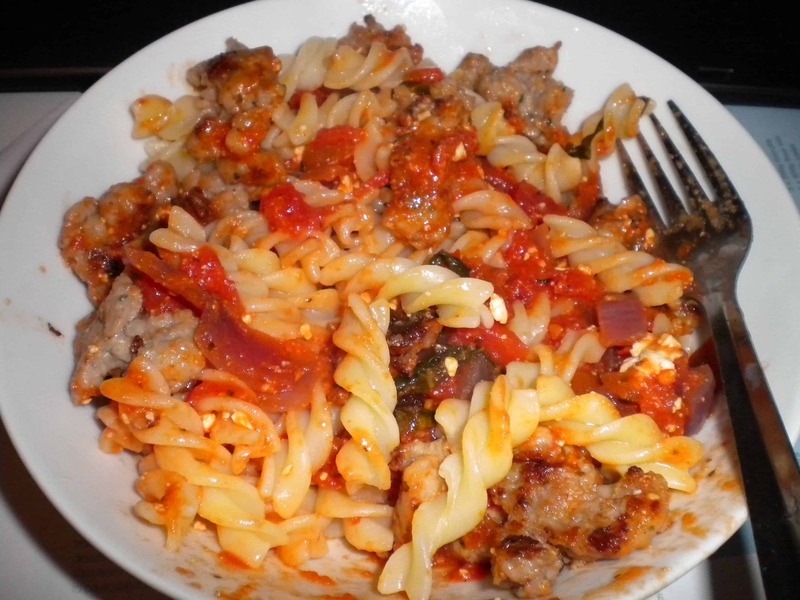 My serving may be sloppy, but it tastes AMAZING! Boil a saucepan of water and add the pasta. Remove the sausage meat from the skin and chop roughly. Fry the onion and the sausage meat in a pan until the meat is brown. Simmer gently until the pasta is cooked. Add the feta and then stir in the pasta. Bring back up to heat and then serve! A quick yummy dish that can cater for one or many – perfect for when you want some good quality, healthy comfort food! The best gluten free sausages I’ve had to date were Debbie & Andrew’s – made in Yorkshire and sold through Tesco – make sure to check the label – not ALL of their range are gluten free. Very tasty! !